For financial institutions, loans are an essential part of their business, writes Avi Rose, regional sales manager for Africa at DocuSign and Leon van der Merwe, business development manager at Pitney Bowes. From home loans to vehicle finance, personal loans to credit applications and everything in between, many applications for these services must be processed on a daily basis. 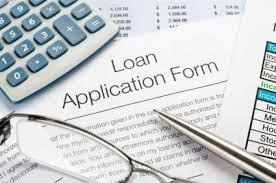 The challenge is that at some point in any loan or credit application, one or more physical signatures are required. This has typically meant moving out of electronic channels into manual, paper-based processes. It not only breaks the digital workflow, it is also exceptionally time consuming and paper-intensive, not to mention costly. In addition, the manual signatory process often negatively impacts the customer experience by requiring the signing parties to be physically present at the financial institution’s branch, a major inconvenience for customers. However, this issue is one that can be dealt with very easily by adding a digital signature solution to the process. These solutions are fully compliant with all relevant legislation, such as the ECT Act, and eliminate the need to print documents and collect ink-based signatures. This improves the customer experience, reduces the time taken to process loans and cuts costs amongst other benefits. Traditional ‘wet ink’ signatures introduce inefficiencies into automated and digital workflows, wasting time and money and increasing a company’s carbon footprint. Ensuring that the entire workflow can be completed electronically solves these challenges and improves the firm’s competitive edge, as the ability to more easily and quickly complete applications is not only of significant benefit to customers but also to the financial institution itself. Up until recently there has been no solution to the challenge of digitising legacy wet-ink signature processes. However, the Electronic Communications and Transmissions (ECT) Act makes allowances for the legal digital signing of documents. Specifically, advanced electronic signatures are now legally valid on documents such as credit agreements, which require a high level of assurance of user authentication. Advanced electronic signature solutions offer certificate-based digital signatures that are legally enforceable because they protect the integrity of the document and the authenticity of the signer. This in turn ensures that the entire applications workflow can be digitised, which offers numerous advantages. The most obvious saving that can be realised here comes through reductions in the use of paper and ink, as well as in printer and courier costs. In addition, employee effort can be significantly reduced – there is no longer any need to print documents, get them signed, and then scan them back in to put them back into the various digital workflow channels. The most significant benefit, however, is the significant time saving advantage. With current manual signature processes, it takes days, sometimes weeks, to add all the information and signatures to the required documentation, not to mention the need to send documents back and forth via fax or post. With an advanced electronic signature solution, this time frame can be reduced to a matter of minutes, as these solutions can be integrated into an automated digital platform that efficiently manages document workflow. For example, a portal can be created where all relevant parties access a single entry point and digitally sign the document with a compliant electronic signature. After authenticating themselves, the required signatories can access this portal from wherever they are in the world, without having to be physically present in a bank or branch office, removing bottlenecks and delays, and improving the efficiency of the entire process. This also ensures that issues with having multiple document versions are eliminated, optimising storage and archiving while also providing a complete audit trail and improving process transparency. For customers this is a game-changing solution, as one of the biggest hassles and frustrations with financial applications is the time-consuming and inconvenient nature of the process. Using digital signature workflows, financial institutions can gain a significant edge over the competition. The benefits are significant and the business case for electronic signatures is strong, as can be seen by the rapid uptake of such solutions across Europe and the US. In South Africa, legislation supports the use of advanced and ordinary electronic signatures, and we are currently at a turning point where adoption is imminent. Financial institutions of all sizes, from major banks to micro lenders, stand to benefit from architecturally sound, secure and scalable digital signature workflow solutions that can provide a competitive edge and significantly enhance customer service.